I care because I need to repost the links as many times as possible in hopes that those related to me by blood will heed my warning and look for signs of the disorder in the kids…. I have made no secret of the fact that I am far estranged from my biological family, so I turn to electronic means to spread the word. Familial Mediterranean fever is an inherited condition characterized by recurrent episodes of painful inflammation in the abdomen, chest, or joints. These episodes are often accompanied by fever and sometimes a rash. The first episode usually occurs in childhood or the teenage years, but in some cases, the initial attack occurs much later in life. Typically, episodes last 12 to 72 hours and can vary in severity. The length of time between attacks is also variable. Without treatment to help prevent attacks and complications, a buildup of certain protein deposits (amyloidosis) in the body’s organs and tissues may occur, which can lead to kidney failure. How common is familial Mediterranean fever? Familial Mediterranean fever primarily affects populations originating in the Mediterranean region, particularly people of Armenian, Arabic, Turkish, and Jewish ancestry. The disorder affects from 1 in 250 people to 1 in 1,000 people in these populations. It is less common in other populations. What genes are related to familial Mediterranean fever? Mutations in the MEFV gene cause familial Mediterranean fever. The MEFV gene provides instructions for making a protein called pyrin (also known as marenostrin), which is found in white blood cells. This protein is involved in the immune system, helping to regulate the process of inflammation. Inflammation occurs when the immune system sends signaling molecules and white blood cells to a site of injury or disease to fight microbial invaders and facilitate tissue repair. When this has been accomplished, the body stops the inflammatory response to prevent damage to its own cells and tissues. Mutations in the MEFV gene reduce the activity of the pyrin protein, which disrupts control of the inflammation process. An inappropriate or prolonged inflammatory response can result, usually accompanied by fever and pain in the abdomen, chest, or joints. Normal variations in the SAA1 gene may modify the course of familial Mediterranean fever. Some evidence suggests that a particular version of the SAA1 gene (called the alpha variant) may increase the risk of amyloidosis among people with familial Mediterranean fever. Read more about the MEFV and SAA1 genes. How do people inherit familial Mediterranean fever? Familial Mediterranean fever is almost always inherited in an autosomal recessive pattern, which means both copies of the gene in each cell have mutations. The parents of an individual with an autosomal recessive condition each carry one copy of the mutated gene, but they typically do not show signs and symptoms of the condition. In rare cases, this condition appears to be inherited in an autosomal dominant pattern, in which one copy of the altered gene in each cell is sufficient to cause the disorder and affected individuals often inherit the mutation from one affected parent. However, there are other possible explanations of this apparent pattern. A gene mutation that occurs frequently in a population may result in a disorder with autosomal recessive inheritance appearing in multiple generations in a family, a pattern that mimics autosomal dominant inheritance. 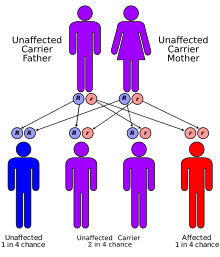 If one parent has familial Mediterranean fever (with two mutations in the MEFV gene) and the other parent is an unaffected carrier (with one mutation in the MEFV gene), it may appear as if the affected child inherited the disorder only from the affected parent. This appearance of autosomal dominant inheritance when the pattern is actually autosomal recessive is called pseudodominance. Where can I find information about diagnosis or management of familial Mediterranean fever? These resources address the diagnosis or management of familial Mediterranean fever and may include treatment providers. You might also find information on the diagnosis or management of familial Mediterranean fever inEducational resources and Patient support. Where can I find additional information about familial Mediterranean fever? You may find the following resources about familial Mediterranean fever helpful. These materials are written for the general public. What other names do people use for familial Mediterranean fever? What if I still have specific questions about familial Mediterranean fever? What glossary definitions help with understanding familial Mediterranean fever? Familial Mediterranean fever (FMF) is a hereditary inflammatory disorder:149. FMF is an autoinflammatory disease caused by mutations in MEFV, a gene which encodes a 781–amino acid protein denoted pyrin. The disorder has been given various names including familial paroxysmal polyserositis, periodic peritonitis, recurrent polyserositis, benign paroxysmal peritonitis, periodic disease or periodic fever, Reimann periodic disease or Reimann’s syndrome, Siegal-Cattan-Mamou disease, and Wolff periodic disease. Note that “periodic fever” can also refer to any of thePeriodic fever syndromes. FMF affects groups of people originating from around the Mediterranean Sea (hence its name). It is prominently present in the Armenian people, Sephardi Jews (and, to a much lesser extent, Ashkenazi Jews), Cypriots, Turks and Arabs. There are seven types of attacks. Ninety percent of all patients have their first attacks before they are 18 years old. All develop over 2–4 hours and last anywhere from 6 hours to 4 days. Most attacks involve fever. Abdominal attacks, featuring abdominal pain, affect the whole abdomen with all signs of peritonitis (inflammation of abdominal lining), and acute abdominal pain likeappendicitis. They occur in 95% of all patients and may lead to unnecessary laparotomy. Incomplete attacks, with local tenderness and normal blood tests, have been reported. Joint attacks mainly occur in large joints, especially in the legs. Usually, only one joint is affected. Seventy-five percent of all FMF patients experience joint attacks. Chest attacks include pleuritis (inflammation of the pleura) and pericarditis (inflammation of the pericardium). Pleuritis occurs in 40% of patients, and makes it difficult to breathe or lie flat, but pericarditis is rare. AA-amyloidosis with renal failure is a complication and may develop without overt crises. AA amyloid protein is produced in very large quantities during attacks, and at a low rate between them, and accumulates mainly in the kidney, as well as the heart, spleen, gastrointestinal tract and thyroid. The diagnosis is clinically made on the basis of the history of typical attacks, especially in patients from the ethnic groups in which FMF is more highly prevalent. An acute phase response is present during attacks, with high C-reactive protein levels, an elevated white blood cell count and other markers of inflammation. In patients with a long history of attacks, monitoring the renal function is of importance in predicting chronic renal failure. A specific and highly sensitive test for FMF is the “Metaraminol Provocative Test (MPT),” whereby a single 10 mg infusion of Metaraminol is administered to the patient. A positive diagnosis is made if the patient presents with a typical, albeit milder, FMF attack within 48 hours. As MPT is more sensitive than specific, it does not identify all cases of FMF. Although a positive MPT can be very useful. Virtually all cases are due to a mutation in the MEFV gene on the sixteenth chromosome, which codes for a protein called pyrin or marenostrin. Various mutations of this gene lead to FMF, although some mutations cause a more severe picture than others. Mutations occur mainly in exons 2, 3, 5 and 10. The function of pyrin has not been completely elucidated, but it appears to be a suppressor of the activation of caspase 1, the enzyme that stimulates production of interleukin 1β, a cytokine central to the process of inflammation. In other words an ineffective pyrin doesn’t inhibit inflammation normally, resulting in inflammatory episodes of membranes at differing sites. It is not conclusively known what exactly sets off the attacks, and why overproduction of IL-1 would lead to particular symptoms in particular organs (e.g. 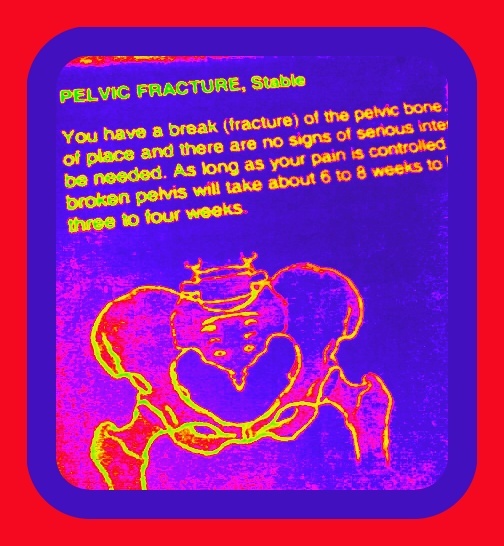 joints or the peritoneal cavity). There is one known case of an affected patient with only one parent who is a carrier. This is caused by a unique mutation on thesixteenth chromosome. Attacks are self-limiting, and require analgesia and NSAIDs (such as diclofenac). Colchicine, a drug otherwise mainly used in gout, decreases attack frequency in FMF patients. The exact way in which colchicine suppresses attacks is unclear. While this agent is not without side effects (such as abdominal pain and muscle pains), it may markedly improve quality of life in patients. The dosage is typically 1–2 mg a day. Development of amyloidosis is delayed with colchicine treatment. Interferon is being studied as a therapeutic modality. Some advise discontinuation of colchicine before and during pregnancy, but the data are inconsistent, and others feel it is safe to take colchicine during pregnancy. Approximately 5-10% of FMF cases are resistant to colchicine therapy alone. In these cases, adding anakinra to the daily colchicine regimen has been successful. A New York allergist, Dr Sheppard Siegal, first described the attacks of peritonitis in 1945; he termed this “benign paroxysmal peritonitis”, as the disease course was essentially benign. Dr Hobart Reimann, working in the American University in Beirut, described a more complete picture which he termed “periodic disease”. In 1972, colchicine was discovered to prevent attacks. The link to the MEFV gene was discovered in 1997 by two different groups, each working independently – the French FMF Consortium, and the International FMF Consortium. ^ Chae JJ, Wood G, Richard K et al. (September 2008). “The familial Mediterranean fever protein, pyrin, is cleaved by caspase-1 and activates NF-kappaB through its N-terminal fragment”. Blood 112 (5): 1794–1803. doi:10.1182/blood-2008-01-134932. PMC 2518886. PMID 18577712. ^ Dugdale III, David C; Jatin Vyas (2010-09-15). “Familial Mediterranean fever – PubMed Health”. PubMed Health. National Centre for Biotechnology Information. Retrieved 2011-04-24. ^ Enersen, Ole Daniel. “Whonamedit – Siegal-Cattan-Mamou syndrome”. Whonamedit? A dictionary of medical eponyms. Archived from the original on 2001-04-24. Retrieved 2011-04-24. ^ “Familial Mediterranean fever – Genetics Home Reference”. Genetics Home Reference. U.S. National Library of Medicine. 2011-04-14. Archived from the original on 2011-04-24. Retrieved 2011-04-24. ^ a b c d e f g h i j Livneh A, Langevitz P (2000). “Diagnostic and treatment concerns in familial Mediterranean fever”. Baillieres Best Pract Res Clin Rheumatol 14 (3): 477–498.doi:10.1053/berh.2000.0089. PMID 10985982. ^ Barakat MH, El-Khawad AO, Gumaa KA, El-Sobki NI, Fenech FF (1984). “Metaraminol provocative test: a specific diagnostic test for familial Mediterranean fever”. Lancet 1(8378): 656–7. PMID 6142351. ^ Huppertz HI, Michels H (1988). “[The metaraminol provocation test in the diagnosis of familial Mediterranean fever]”. Monatsschr Kinderheilkd 136 (5): 243–5. PMID 3405225. ^ a b The French FMF Consortium (1997). “A candidate gene for familial Mediterranean fever”. Nat. Genet. 17 (1): 25–31. doi:10.1038/ng0997-25. PMID 9288094. ^ a b The International FMF Consortium (1997). “Ancient missense mutations in a new member of the RoRet gene family are likely to cause familial Mediterranean fever”. Cell 90(4): 797–807. doi:10.1016/S0092-8674(00)80539-5. PMID 9288758. ^ Michael O, Goldman RD, Koren G (August 2003). “Safety of colchicine therapy during pregnancy”. Can Fam Physician 49: 967–9. PMC 2214270. PMID 12943352. ^ Calligaris L, Marchetti F, Tommasini A, Ventura A (2008). “The efficacy of anakinra in an adolescent with colchicine-resistant familial Mediterranean fever”. European Journal of Pediatrics 167 (6): 695–696. doi:10.1007/s00431-007-0547-3. PMC 2292480. PMID 17588171. ^ Siegal S (1945). “Benign paroxysmal peritonitis”. Ann Intern Med 23 (2): 234–47. PMID 18124924. ^ Reiman HA (1948). “Periodic disease. Probable syndrome including periodic fever, benign paroxysmal peritonitis, cyclic neutropenia and intermittent arthralgia”. J Am Med Assoc 136 (4): 239–44. PMID 18920089. ^ synd/2503 at Who Named It? ^ Goldfinger, S.E. (1972-12-21). “Colchicine for familial Mediterranean fever”. New England Journal of Medicine 287 (25): 1302. doi:10.1056/NEJM197212212872514.PMID 4636899. Proteopedia 2wl1 information about the MEFV gene. In addition to the Colchicine, I recommend a regimen of ingesting Phoenix Tears Oil (hash oil made from the cannabis plant) by mouth in concert with smoking the plant to treat pain and juicing the fan leaves to decrease intestinal symptoms and increase appetite.